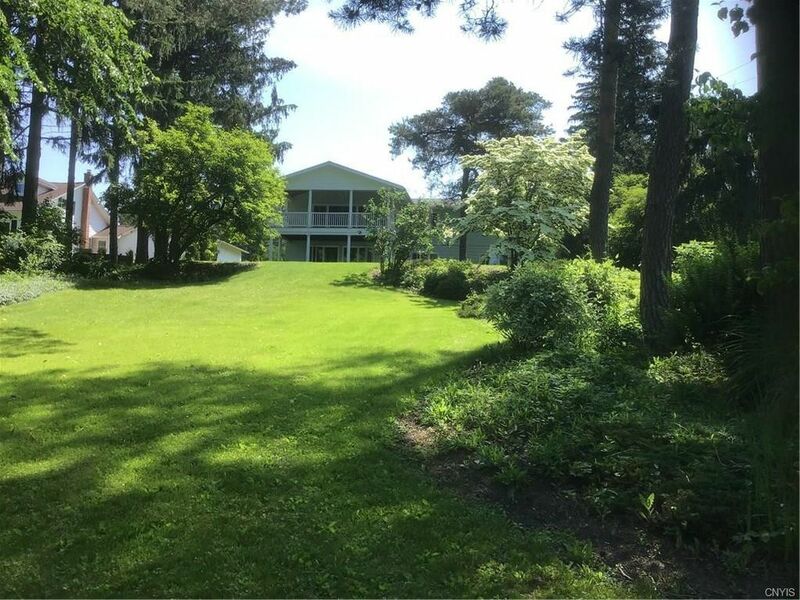 This 2,800 sq ft split level home sits on .71 acres of park like setting and has 2 deeded lake access (20'/10') on beautiful Owasco Lake. Large living room with fireplace, gleaming hardwood floors, large wall of windows with amazing views of the landscaped yard and Owasco Lake. The beautiful covered porch faces Owasco Lake and provides amazing views and entertainment options. Large formal dining room with custom built in cabinets and hardwood floors, custom designed kitchen with all new appliances. Two large bedrooms with great views and a full bath on the main level. The lower level has a large family room with mini wet bar, tiled flooring with radiant heat and fireplace. Access to a large patio and yard from the family room. There are two additional bedrooms with magnificent views and a full bath room. Lower level laundry room and plenty of storage. The roof is 6yrs old, the furnace is 2 yrs old, updated windows and added insulation. Directions: From Auburn travel south on East Lake Rd (Rt 38a) turn the right onto Rockefeller Rd. The home is 1 mile on the right.